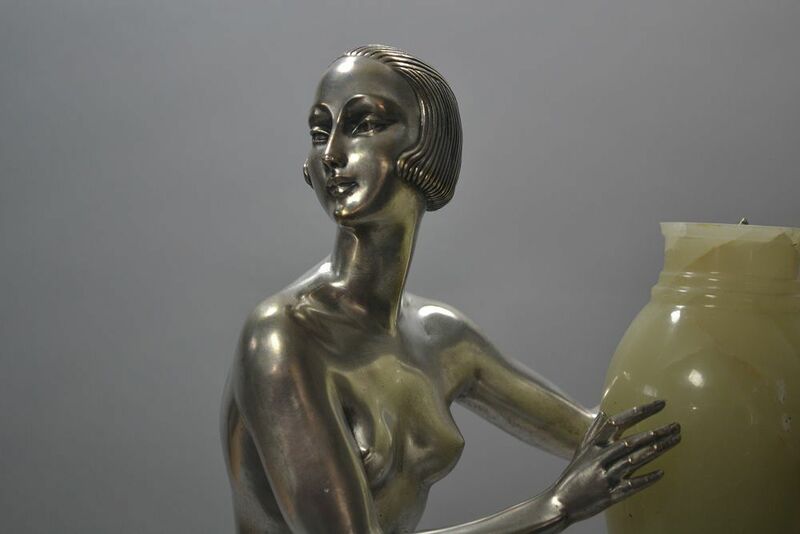 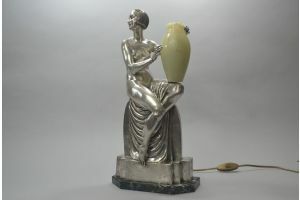 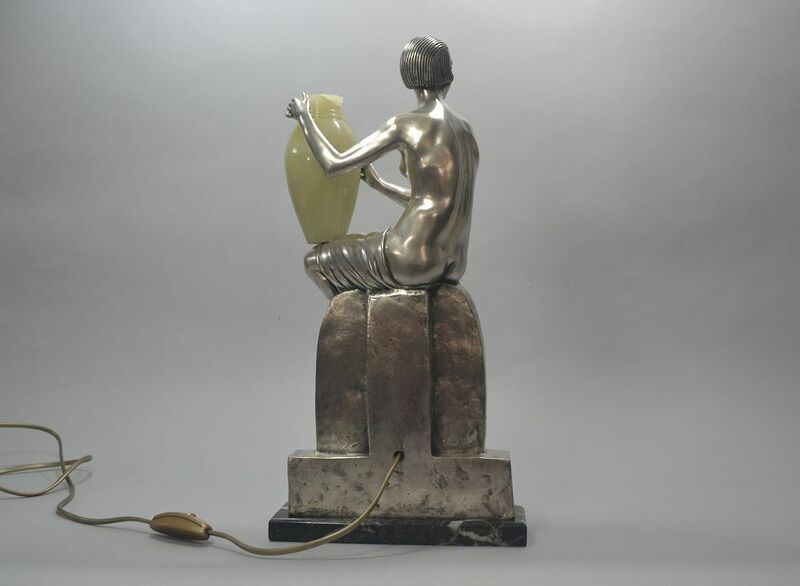 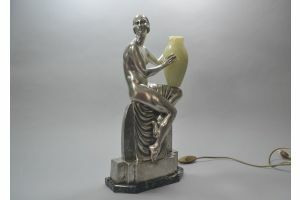 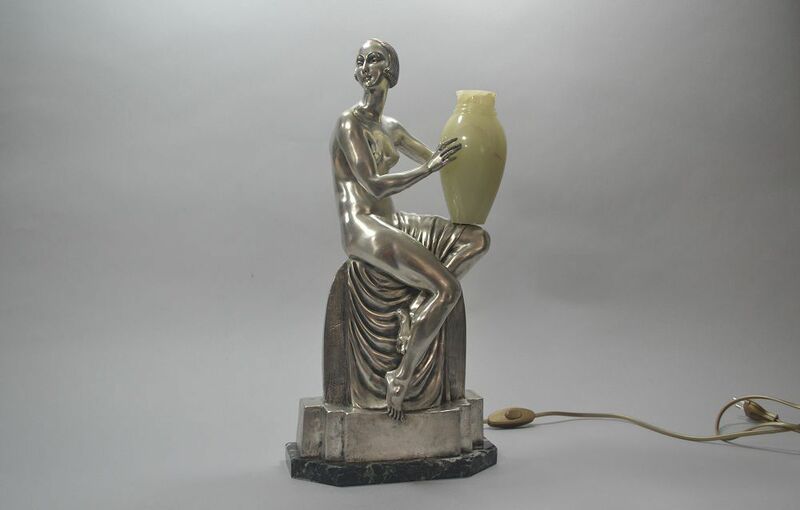 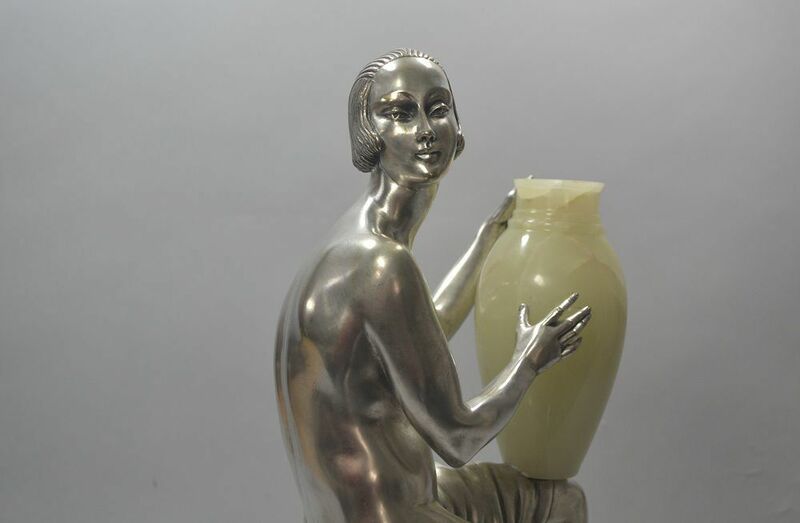 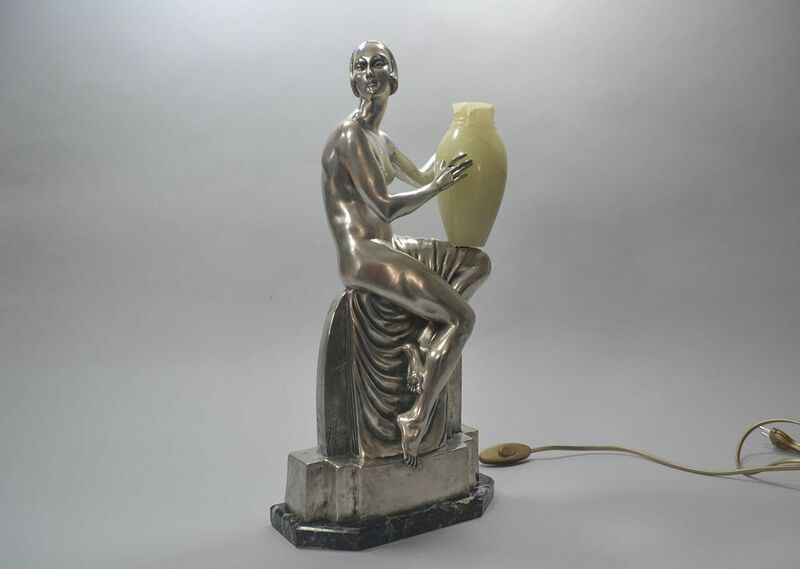 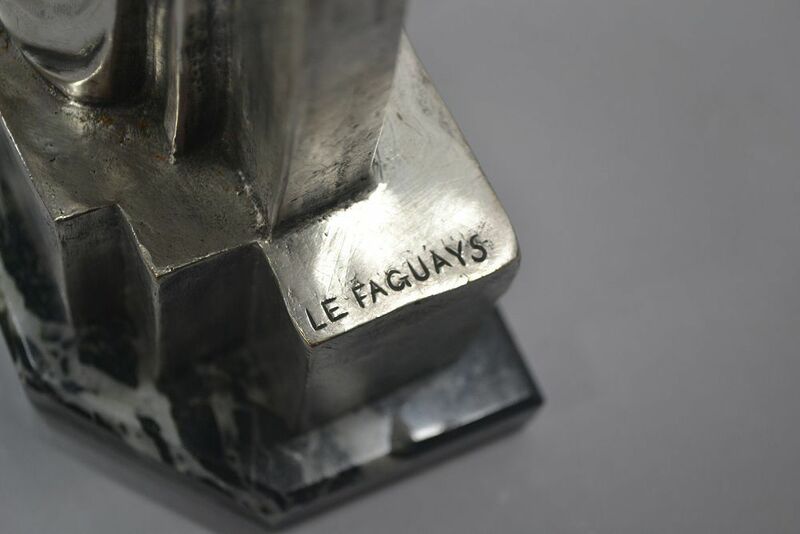 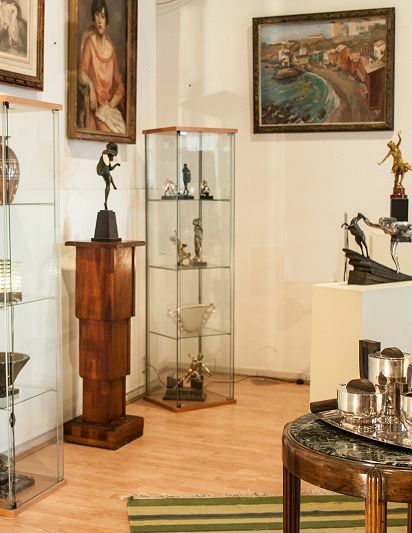 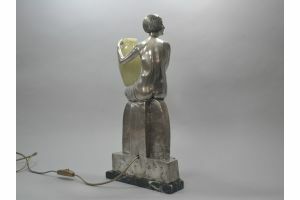 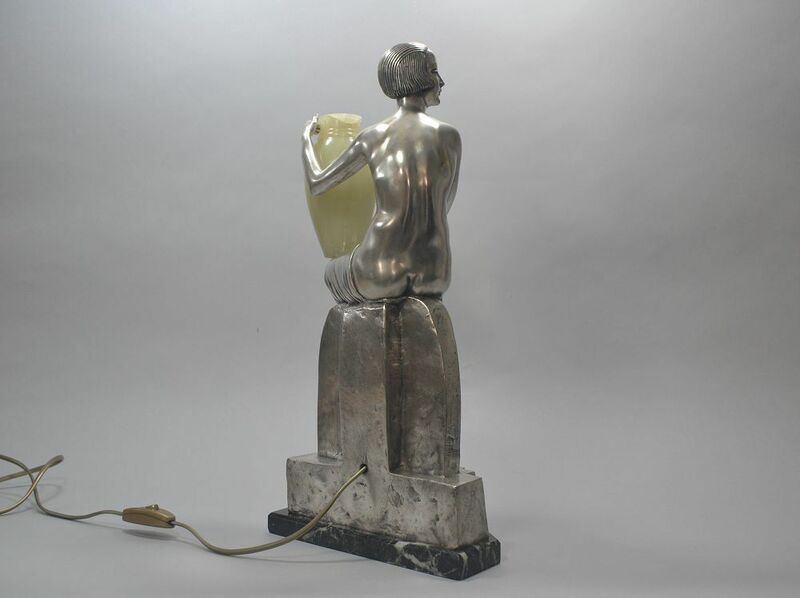 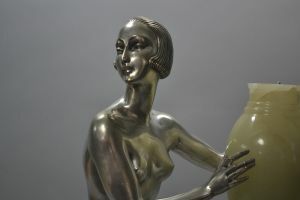 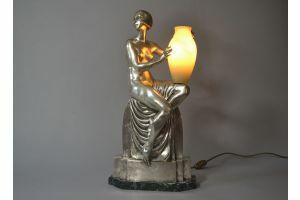 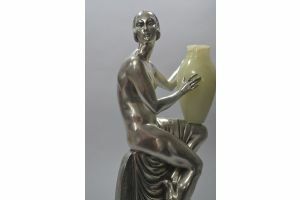 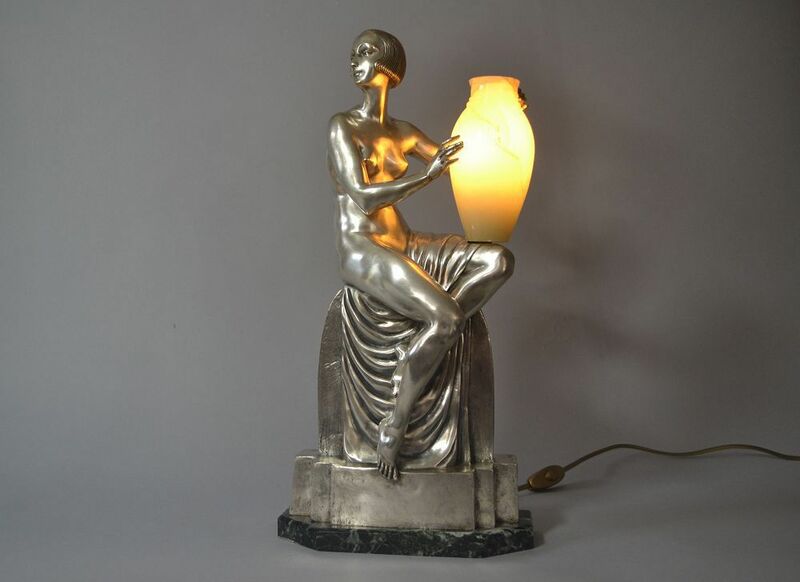 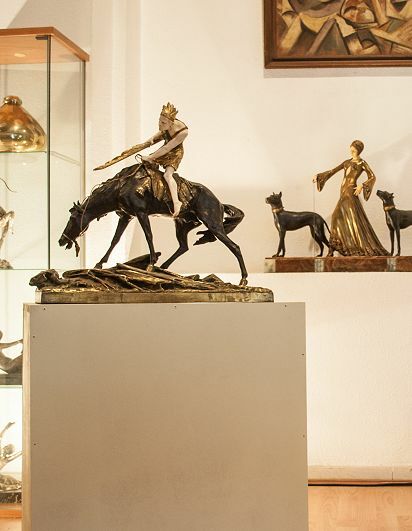 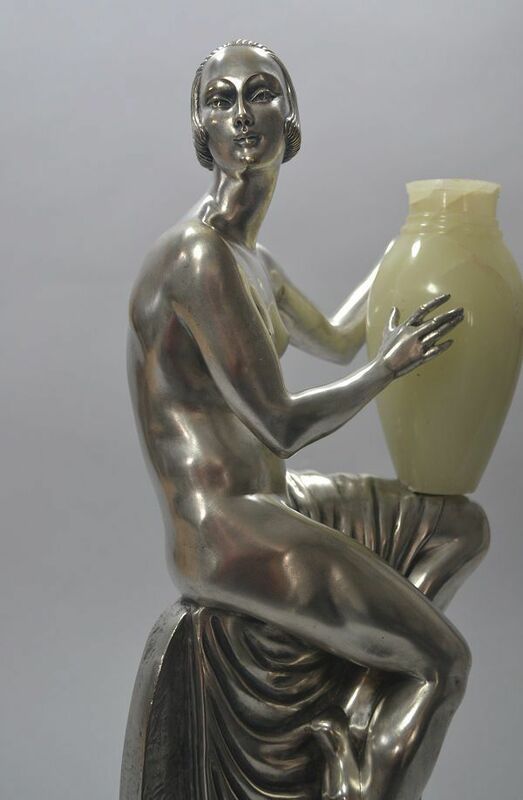 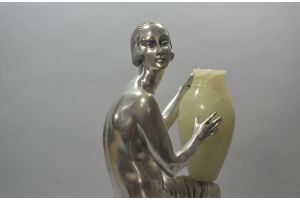 Unique and never seen before Pierre Le Faguays tall silver plated bronze sculpture / figural lamp of a lady holding a jar. 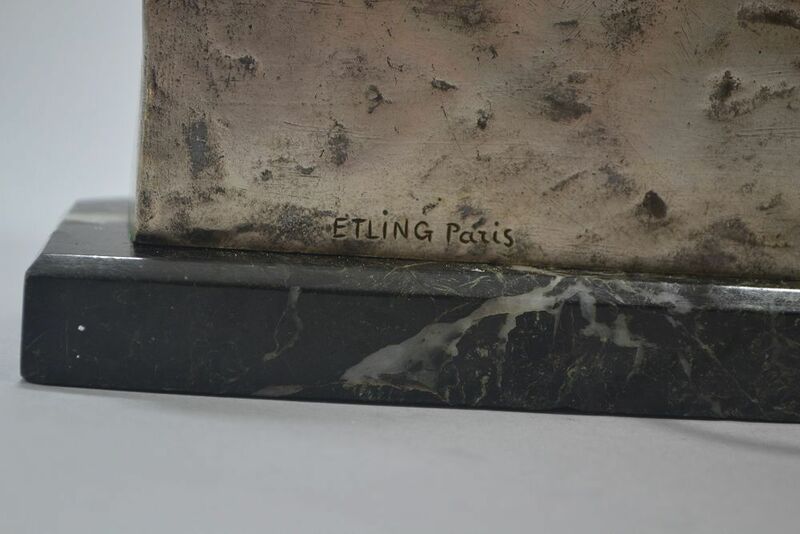 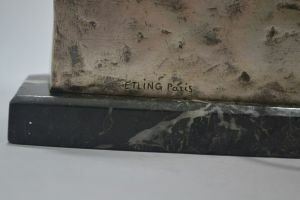 Signed in the bronze and inscribed Etling Paris (Famous editor for the best art deco artists including Chiparus, Descomps, Colinet, etc.). 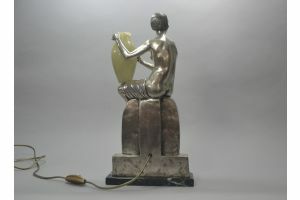 H. 45cm Base is 22cm x 10cm.